As parents, spouses, and expert Savannah dentists, we know exactly how to balance your busy schedule with your smile goals. We believe your smile represents who you are. Our meticulous and artistic smile designs harmonize the golden proportions of your facial features, the contour of your eyes, and the tone of your skin — all to bring out a more distinct, younger, and fresher you. Whether you choose dental implants, cosmetic, or family dentistry, you set your pace while we patiently and gently overcome your barriers to help make your dreams an affordable reality. You may be apprehensive about coming, but you will be adamant about staying. I am a local realtor and have been a patient of Dr. Cooper's for two years. She and her staff know how important my appearance is, not only to me but to my job. She is extremely compassionate to the needs of her clients. I would not go anywhere else. Using the latest technology actually makes me look forward to my appointment. Having a WONDERFUL dentist makes going through dental work an actual pleasure. Dr. Cooper makes you feel like a family member, not a number, and that's important to me. As long as she is open, I'll never go to another dentist! Thank you, Dr. Cooper, for being you! 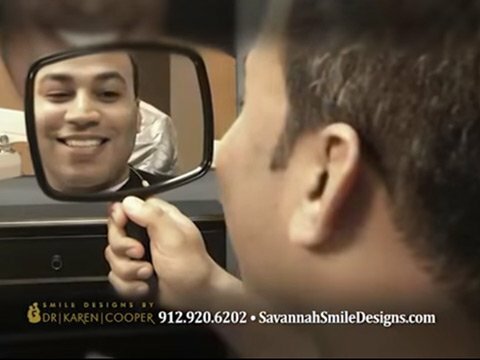 See what your visit with our Savannah dentist will be like. The million dollar question: Why do you want an improved smile in the first place? To enhance your career? To feel more confident and secure in your personal relationships? Whatever it is, we will help you achieve that goal without losing sight of your overall health needs and finances. From your very first visit and beyond, we’ll help you see the beautiful person reflected in your smile’s potential. We’ll sit down with you in a comfortable setting and get to know a little more about your goals and concerns. We’ll pamper you with warm blankets, smoothies, heated massage chairs, and paraffin wax. We will always treat you and your family as a family of our own. We care about you and want you to smile, laugh, and play without being embarrassed or in pain. Once we establish the vision of your new-and-improved you, we’ll use a tiny intraoral camera (the size of a dime) to take pictures of your smile, take some panoramic X-rays (depending on your needs), and put together a high definition realistic virtual smile design in 3D. We’ll carefully listen as you explain which areas of your smile you want to see improved. Then we’ll use our expertise and artistic vision to point out areas of concern and suggest treatment options that fit your lifestyle. 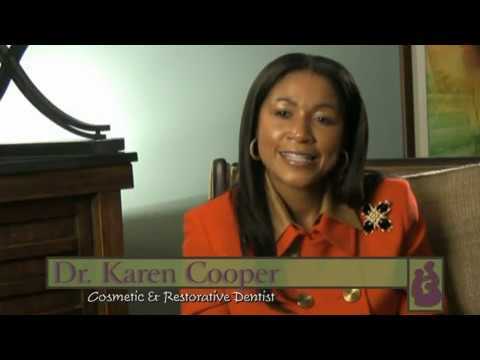 At Dr. Karen Cooper’s dental care practice in Savannah, GA, we are continually striving for and reaching for excellence. We educate ourselves in the newest and greatest techniques to bring the absolute best smile results to our patients. Explore our expert array of restorative and cosmetic dental services in Savannah. Want to see how your smile will look? Schedule your visit with us!